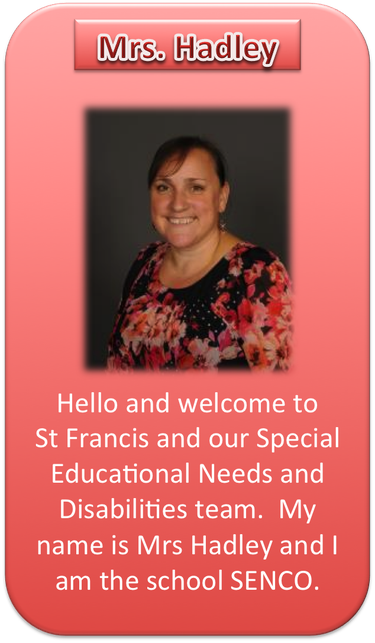 At St Francis Primary School we strive to support and nurture all children to enable them to achieve their full potential at school. This is where our SEND team step in. The emotional and social well being of our children is also paramount and we work hard to ensure that all children are confident members of our school family, by offering individuals additional guidance and support whenever needed. Together we make up the SEND team at St Francis. We work closely with children, teachers, parents and agencies to ensure that all of our pupil’s needs are met. 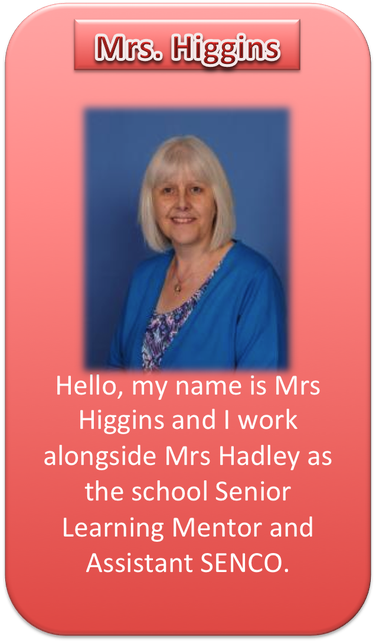 We are both in school everyday and can be contacted through the school office or by email at sen@sfps.bham.sch.uk .